David Kipen was born and raised in Los Angeles. Kipen opened the Boyle Heights bookstore and lending library Libros Schmibros in 2010. 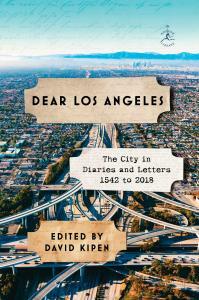 A former literature director of the National Endowment for the Arts, book editor/critic of the San Francisco Chronicle, and contributor to multiple volumes of California cultural history, Kipen holds a degree in literature from Yale University. He teaches in the UCLA writing program.